The BlackBerry Priv appears ready for prime time in Canada. In a brochure from Bell, the Canadian carrier promotes the expansion of its LTE-A service into Atlantic Canada. The Priv appears in good company, standing next to a Samsung Galaxy S6 edge+, and an Apple iPhone. This could be another sign that we should expect to see the Android flavored slider unveiled soon. In addition, one of our loyal readers was able to get his hands on a working Priv, and sent us a photo showing how the battery indicator can be displayed on the 5.4-inch curved edge screen. Earlier speculation had the phone launching in November, just in time for the holiday shopping season that begins right after Thanksgiving. Carphone Warehouse has the phone arriving on November 6th, but in the U.S. it could be touching down on a later date. When the BlackBerry Z10 brought the new BB10 OS with it back in 2013, the phone launched first in the U.K. and Canada before hitting the U.S. We could see the same pattern with the Priv. Wishing BB good luck for this device. 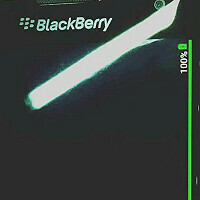 I hope this device will turn things around for BB. you and I and the whole userbase at crackberry.com and meanestgenious and.... basically we all wish blackberry the very best, but mainly because a company like blackberry doesn't deserve to die. On contrary, blackphone totally does, mainly for their allegations gainst blackberry. I prefer more competition thanks. I also seem to remember both companies slinging words at eachother. For that matter I'm not sure why you'd think these two competing companies wouldn't talk smack about eachothers product, even taking your fanboy admission into account. Exactly, blackberry in the market = competition. Chen nor heinz made comments back. If you actually knew the arguments that went at hand you'd know it wasn't just smack, taking my whole fanboyism into account. Don't worry newbie you'll learn more about me and see on whose side I'm on, thanks. I'm not the one who wants to see a company die out (blackberry+ market - blackphone=competition?). I'm happy to see any small phone makers in the market whether or not I intend to buy their product. I'm also happy too see blackberry trying to re-enter the market. Not sure why you're so defensive about your favouring of blackberry, I'm just going by what you wrote. I'm not really into sides, I'll leave the aggresive back and forth to you and someone who cares more. Wonderful, thanks for the feedback I guess. How about you actually go and buy the phone instead of wishing them luck? People keep saying how they love BB, but in the end they go and buy other brands. That's the brutal truth. This truly has the chance. Android is not the beat all end all, but this could offer Android in a package no one else is even coming close to. Unfortunately BlackBerry doesn't really price their devices in the affordable range. not at unveil, but you hate blackberry so why bother? Neither does Apple. So whats your point? Except more trolling. You don't like BlackBerry so why keep commenting? It's what a troll does. Worst thing is that he doesn't even consider him self a troll, he thinks his opinion actually matters towards someone. That's because BlackBerry isn't building an affordable device. They're releasing a flagship to end all Android flagships. Waiting for the U.S. launch date and pricing. Waiting on AUS launch and pricing lol but that will never happen here. Still miss my BB Bold :( US date please. Excited for Blackberry, hoping the best for them! Definitely will check it out. is it true there will be a 2mp front facing camera? BlackBerry has my wishes too. I know they can do it. I will pay top dollar for a private, excellent device. Bring it, BlackBerry. I have missed what you bring to the market. I loved the BB10 software and liked the Passport, it just wasn't me. This sounds like it was designed with me in mind. Would love to carry the familiar BB insignia again.